In the Star Trek lore, Pavel Chekov expertly navigated the Enterprise through some difficult situations. 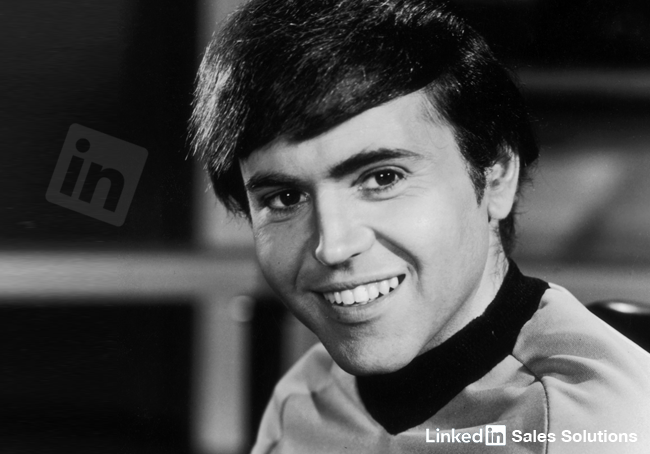 See how Sales Navigator can be your own Chekov. To celebrate the upcoming East Coast Trekkie convention in New Jersey (#TREKNJ), we'll pay homage to the great Pavel Chekov -- the U.S.S. Enterprise's original navigator. Broken English notwithstanding, his course projections and scientific analysis got the Enterprise out of some difficult situations. Chekov rose through the ranks as the series (and subsequent movies) went on, but never lost his love of home -- or his interest in mathematical/quantitative analysis. In the Star Trek world, navigators set the ship's course, and also utilize navigational sensors to determine the positions, speeds, and trajectories of other objects. Chekov worked in tandem with Chief Helsman Hikaru Sulu to maneuver the Enterprise along its initial five-year mission of exploration. We have found the nuclear wessel. The wealth of available insights within Sales Navigator allows you to be granular and targeted. By integrating Sales Navigator with your Salesforce or Microsoft Dynamics CRM system, you can keep track of your prospect’s latest updates and changes. This can be critical if your contacts leave the company – that multi-threading approach helps keep the conversation flowing. Chekov dealt with a few issues stemming from his thick Russian accent -- the actors who played Chekov (Walter Koenig and Anton Yelchin) specifically focused on the character’s inability to pronounce the letter “V.” However, Chekov was still able to communicate well with other Starfleet members -- and eventually captain his own ship. This plays to the character’s innate leadership and adaptation skills. If you're not speaking the same language as your prospect, then you'll need to adapt to ensure efficient communication. Even if the translation is a tad clunky, the prospect must understand your meaning. Sales Navigator’s daily alerts can keep you informed when the prospect talks about relevant topics – and they can provide direction if you’re having trouble communicating on the same wavelength. Pavel Chekov’s navigation and scientific skills helped the Enterprise crew survive some harrowing situations – and his leadership skills earned him the respect of his crewmates. By channeling Checkov in your Sales Navigator plans, you can ensure that your strategy doesn’t get sidetracked from the mission. 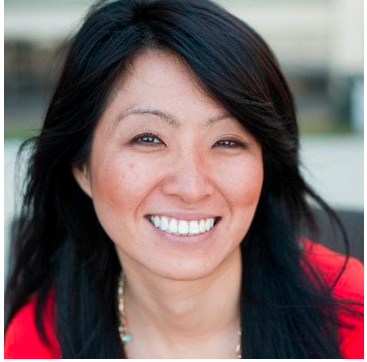 Follow @LinkedInSelling for more sales strategy insights.